From Sep 1st 2018, DP302 Series will be discontinued. As a possible substitute, please check out the DP20 series for details. The DP302 and DP3002 Series are low cost digital panel meters designed for applications where indication only is required. 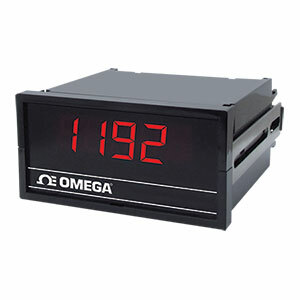 The DP302 is a 3 1 /2 digit display capable of displaying ±1999 counts. The DP3002 is a 4 1 /2 digit display and can read ±19999 counts. Both models are fully scalable to display engineering units.